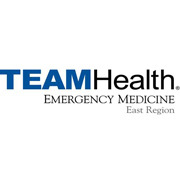 TeamHealth provides administrative and staffing services to emergency departments, hospital medicine programs, and urgent care centers all across the country. After 32 years of geographic and service line expansion, TeamHealth is one of the nation's largest providers of hospital-based clinical outsourcing. Although we are a national organization, our operating philosophy is essentially the same as when we started 32 years ago. We are committed to a patient-centric model of healthcare delivery, with the hospital, physician group, and TeamHealth working collaboratively with our affiliated physicians so they can deliver compassionate, efficient, and safe patient care. We are a healthcare organization committed to quality, efficiency, and exceptional patient care. To develop the best teams of healthcare professionals driven to advance patient care through leadership, innovation, and teamwork. TeamHealth is a physician-led, patient-focused organization whose success stems from dedication to innovation, teamwork, and integrity.